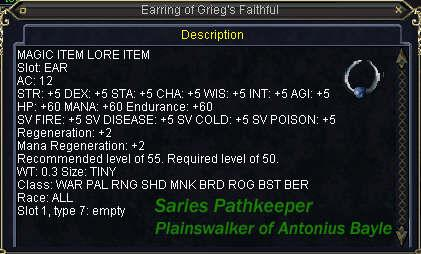 Item Lore: Worn by those who have given their loyalty to Grieg. Thats a really nice item for lvl 50's. Shoot its almost tempting even at 67, but Id lose alot of hp and mana.